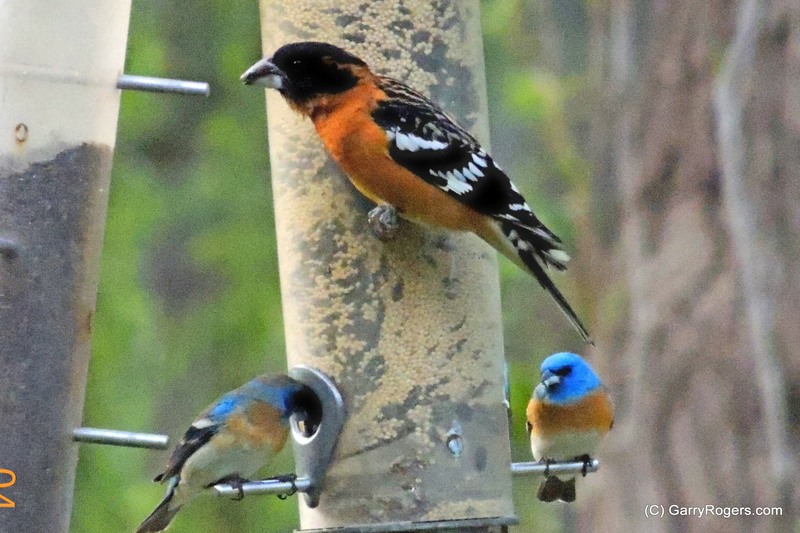 Black-headed Grosbeak and two Lazuli Buntings. If we come through global warming, overpopulation, and overuse of the Earth, our experience will have reforged our view of the world. I think we will have a clearer understanding of the limits of nature. This post discusses one probable shift in our post-anthropocene view of the world. 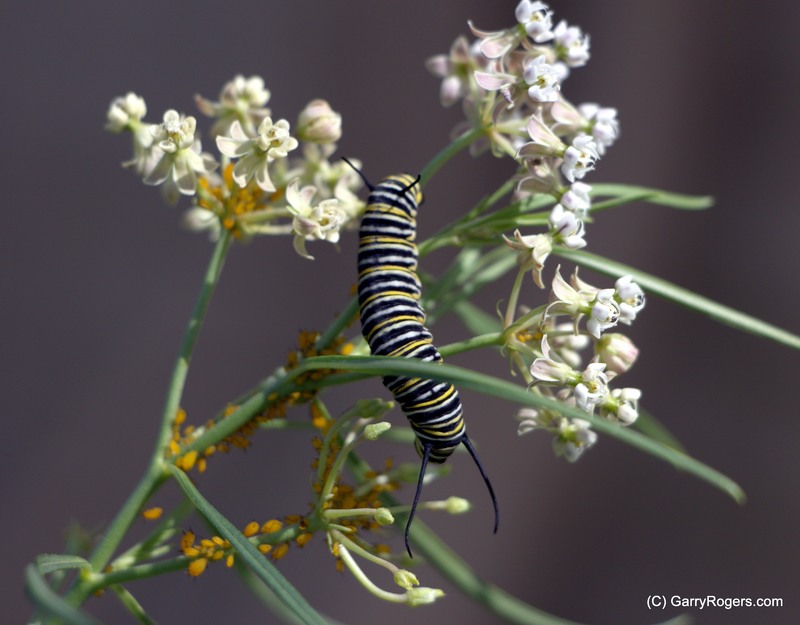 Monarch Butterfly caterpillar on a milkweed outside my office. The homocentric view has always dominated organized land use and management. The view calls for protecting the health and integrity of ecosystems so that their use is not interrupted–the sustainable idea. However, opening all of nature to attempts at economic use has led to mistakes and abuses. Moreover, it justifies changing the land for human benefit. Cities and farms remove and replace nature for human benefit. Thus, as our population and needs have grown, the extent, health, and integrity of ecosystems has declined. One symptom of this that is visible to us all is the decline in wild animals. Extensive counts and recounts have shown that more than half of all Earth’s amphibians, birds, fish, mammals, lizards, and turtles has disappeared over the past 45 years. 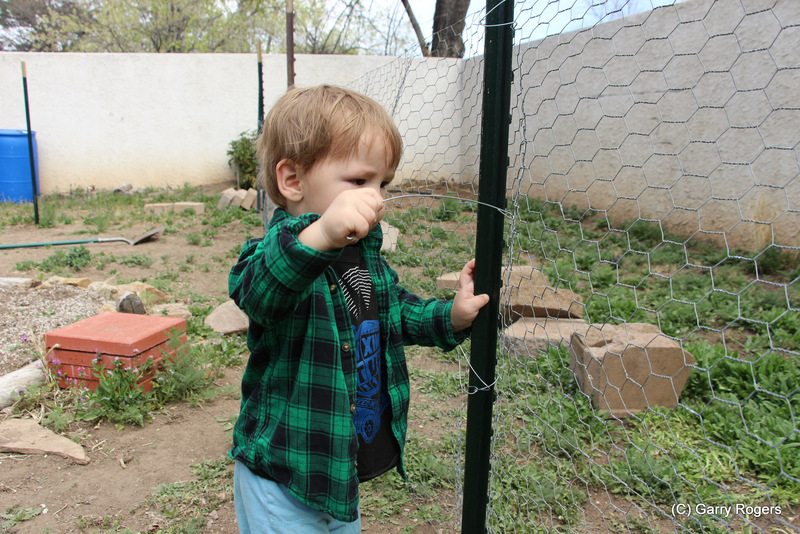 Alexander helping build the dog-proof fence around the garden. The Ecocentric Alliance, formed from the ideas of Leopold and others of the same mind, is working to explain why we must shift to the ecocentric approach to nature if there is to be a real hope for survival of Earth ecosystems and us humans. The Alliance gives rational explanations of ecocentrism, and provides a venue for peer-reviewed discussions and analysis of the concept. The Ecological Citizen is an online journal that addresses the central issue of our time: how to halt and reverse our current ecocidal course and create an ecological civilization. The Ecocentric Alliance is a youthful organization that is still concerned with understanding its role in conservation. For this reason, we should ignore the introspective flavor of the explanations below. “Ecocentrism is a worldview that: (1) extends ethical considerations to all components — biotic and abiotic — of Earth’s living systems (the Ecosphere), as well as the dynamics of their interactions; and (2) values non-human nature independently of any benefit it may have for humans specifically. “Ecocentrism brings with it new standards for thought, conduct, and action on such seemingly intractable problems as loss of habitat for non-human nature, degradation of living systems, and overpopulation and overconsumption by humans. “Ecocentric ethics can provide moral guidance to corporate and governmental policy-makers, as well as to individuals across the globe, on reversing the decline of non-human nature and on building economic systems and communities that are in harmony with the Ecosphere.” –The Ecocentric Alliance. 1: The well-being and flourishing of the living Earth and its many organic and inorganic parts have intrinsic value, that is, value in themselves. Such values are independent of the usefulness of the non-human world for human purposes. 2: The richness and diversity of Earth’s ecosystems, including the organic forms that they nurture and support, contribute to the realization of these values and are also values in themselves. 3: It is wrong for humans to reduce the diversity of Earth’s ecosystems and their vital constituents, organic and inorganic. 4: The creative flourishing of Earth and its multitudinous nonhuman parts, organic and inorganic, requires a substantial decrease in human population. The flourishing of human life and culture is compatible with such a decrease. 5: Present human interference with the non-human world is excessive, and the situation is rapidly worsening. 6: The pattern of human activities must therefore be changed. These changes will affect basic economic, technological and ideological structures. The resulting state of affairs would be deeply different from the present. 7: An important part of this change is appreciating all life and its intrinsic value rather than mainly pursuing endless economic growth. 8: Those who subscribe to the foregoing points have an obligation to participate in the attempt to implement the necessary changes. 1: The Ecosphere is the center of value for humanity. 2: The creativity and productivity of Earth’s ecosystems depend on their integrity. 3: The Earth-centered worldview is supported by natural history. 4: Ecocentric ethics are grounded in awareness of our place in nature. 5: An ecocentric worldview values diversity of ecosystems and cultures. 6: Ecocentric ethics support social justice. 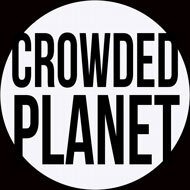 7: Defend and preserve Earth’s creative potential. 8: Reduce human population size. 9: Reduce consumption of Earth’s vital constituents. 1: We have arrived at our perspective regarding the ultimate value of Earth and its systems via diverse routes, including science, intuition, literature, poetry, various spiritual traditions and experiences in nature. Ecocentrism is holistic, encompassing the best scientific evidence as well as the deepest intuitions and realizations of our human status on this planet. 2: We agree that giving the highest priority to Earth’s ecological integrity and health (i.e. ahead of economic considerations) is the wisest survival strategy for all species, including our own. 3: The sense of the ultimate values of Earth and her systems comes from a combination of plain living, observing, and experiencing the obvious wonders and profound beauty of nature in all natural ecosystems. 4: Our ethics follow from valuing Earth and its constituents, inclusive of human beings. 5: Human welfare, as well as the possibility of a desirable future, absolutely requires functioning ecosystems. 6: While it is of course legitimate for all living beings, including humans, to live and enjoy living, we have to do so in ways that don’t damage the time-tested regenerative systems of Earth. 7: Sometimes it makes sense to appeal to human self-interest. However, narrow human self-interest cannot override the requirement of respect for the Earth’s health and integrity. This entry was posted in Activism, Animal Rights/Welfare, ecocide, Homocentric, Nature Conservation and tagged ecocentric, ecocentrism, human-future, post-global-warming by GarryRogers. Bookmark the permalink. I wholeheartedly agree that a fundamental shift in human behavior is necessary for both our long-term survival as a species, and for moral prudence in respecting nature. However, global warming is accelerating so rapidly that the existential problem it poses is now a short-term crisis. We simply do not have sufficient time remaining to mitigate climate change through an anthropogenic evolution of human psychology. No matter how bad the situation becomes, and it will get very bad quite soon, far too many people will still act in their own narrow self-interest regardless of the larger consequences. This is why I support homocentric arguments advocating climate change mitigation. If the foot-draggers and deniers are faced with their own personal survival threat, then there’s a greater chance they will get on board – reluctantly, at least. Robert, I agree with you that the climate-change emergency upon us now requires a wartime effort. There is clearly no time, and no hope for changing society to avoid the catastrophe. My point was that as, and if, we come out on the other side, we will probably have a new “ecocentric” view of nature. Of course, I hope that a few more people living today will recognized the essential nature of the ecocentric view. I theorize that this might guide us away from a Mad Max world toward a Leopoldian world. Unfortunately, the tendency for current governments is to consolidate power in times of trouble. 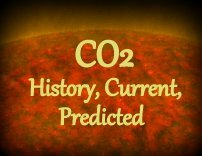 I was thinking about what we might have if we survive beyond the stabilization of global temperature. Our present government tendencies could leave us with lots of little autocracies guided by fear and greed with nothing more than short-term goals and prospects. Mad Max, but probably with no gas to chase our enemies. Garry, your opening is spot-on. If we (i.e. Homo sapiens) do come out on the other side (probable, IMO), ecocentrism will be a necessity else we would stupidly relive the current crisis. However, modern civilization and untold billions would not come out on the other side; and, I believe it would be premature to give up on them at this point. Thanks for this Garry. I did not know about the Ecocentric Alliance. It should be better known. My pleasure. Yes, there’s some sound thinking here.